Cyant: It is exciting to see how 3D modeling and 3D printing are being used in movies and are creating new visual effects and experiences. Can you describe how they have been part of your work in recent movies you have worked on? 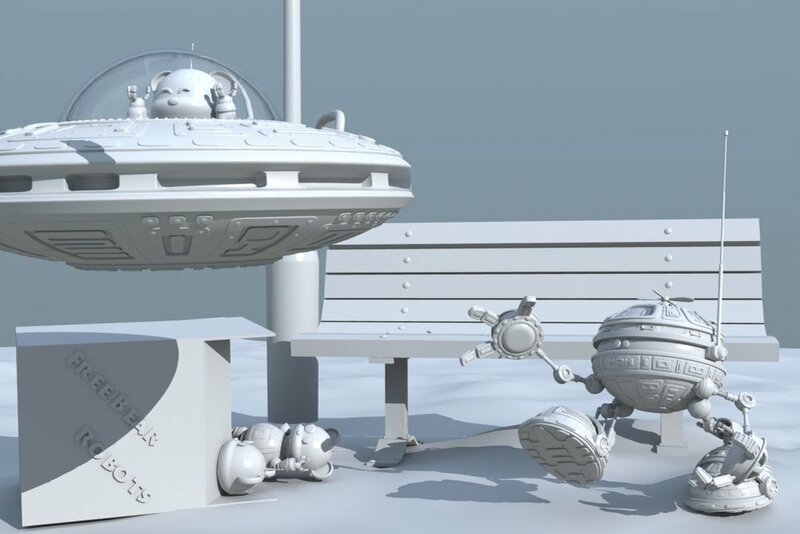 Christina: Most of the work I do in feature film uses 3d modeling, where we build many assets for films as well as work with client files to optimize them for our production. I work on the 3d visualization side which incorporates: “pitchvis", a production that we do to give the clients an idea of what the film can look like before it is greenlit; “previs", the production where we develop the look and storytelling through set designing and shot creation; “techvis", the process of preparing camera and set information to assist with filming; and “postvis", the process of combining filmed plates with our CG work to give an idea of what the film looks like before sending it to finals visual effects companies. I've been a part of all of the processes building assets and more. Although my 3d printing side isn't visible on the screen, I use the knowledge that I've learned with printing in my modeling for production. There are times where I have to clean up and prep models from a client that are very high resolution, 3d scanned actors or environments, or models that contain geometry errors. I use Zbrush a majority of the time to clean up models and prepare them for “retopology” in Maya, so that we can use them in our workflow. Cyant: What is a typical day and what are the creative and technical processes you follow? How do you work with the other team members on the project? Christina: A majority of the projects we work on are collaborative, so we are constantly working together. Usually we start off with asset builders like me who create the characters, environments or props needed per sequence. 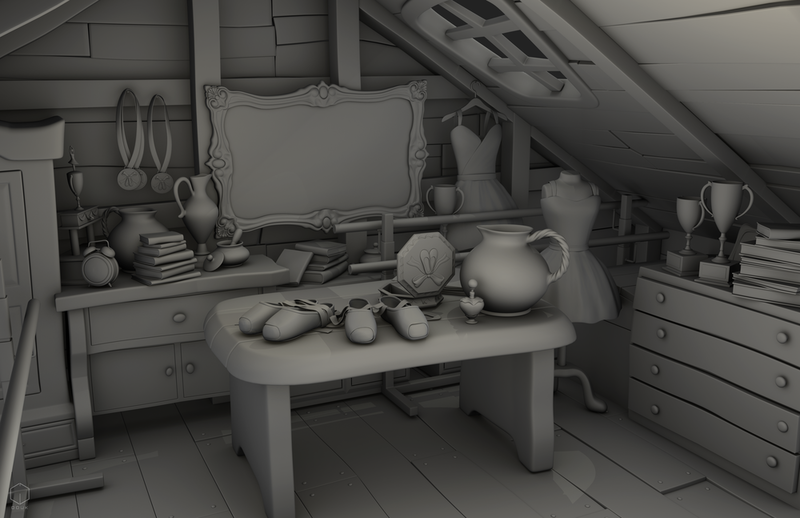 This process involves us modeling, texturing, lighting, and rigging every asset. And when we get to a good point, then we introduce shot creation which is where animation comes in to use the assets we make and compose shots to tell the story. When an new asset is requested or something breaks there's usually one asset person on hand to get it done. Depending on what process of production I'm in, my workflow uses Maya or Zbrush for modeling and UVing, then I texture using Substance Painter and bring it all back to Maya to finish up the model and rig and light them if I need to. 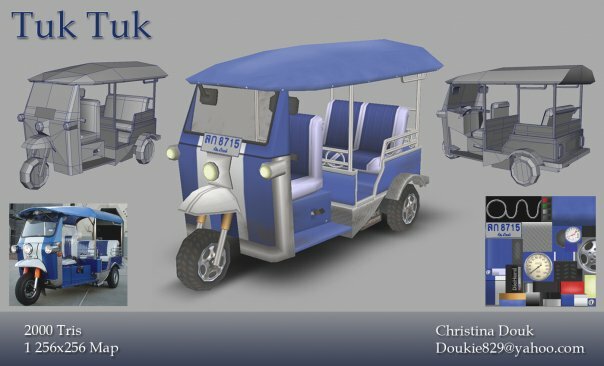 Photo courtesy of Christina Douk: A vehicle from Thailand made using games modeling technique - 2009. Cyant: What did you study and how do you think your studies prepared you? What did you have to learn? Christina: I went to school for animation originally, but it never really clicked with me to be an animator. Within that process of studying though, I realized that I liked building sets and set dressing a lot more, so I geared my focus to that. 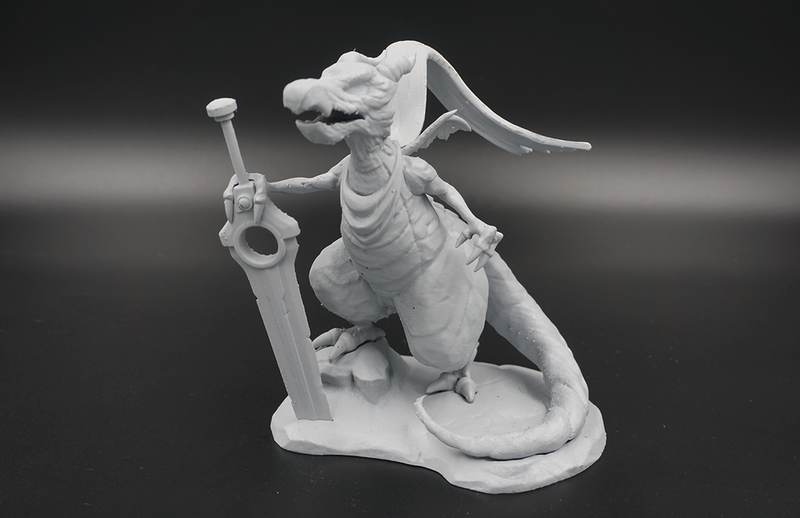 I started taking classes that were more focused on game design and modeling and I felt a love for sculpting and building anything. Whenever I saw a beautiful concept I just wanted to build it in 3d because then I could see a design come to life. I kept on this path for many years, working in games first then commercials, toys, and now films all of which my knowledge has grown in each industry. I also take classes on 3d printing, clay sculpting, digital sculpting, drawing and pottery on the side to keep up with many skills and to expand creativity for myself. I never stop wanting to learn, and that continued growth has always fueled my want to keep making, designing and building. Photo courtesy of Christina Douk: The Accountant designed by Doktor A and produced by Mold 3d, modeled by Christina. Cyant: You are also a creator of 3D printed toys! What inspired you to create these toys, and how is your work different, creatively and practically, from the work you do with movies? What has 3D printing enabled you to do? And what are some important lessons you've learned along the way? Christina: This was a fun little side thing I love to do. I slowly came to this point where I wanted to do more than what my day job was. Once I found 3d printing and printed my first model and I realized this was a whole new market of creativity for me. I could make anything I wanted and produce it in a physical form. These little robots came out of some simple sketches I was working on for fun and I just kept drawing and modeling them. I’ve always been a fan of robots and these little guys always make me smile when I see them. Photo courtesy of Christina Douk: First model made of the robots by Christina and a sketch over done by friend Tu Anh Nguyen to help figure out shapes and forms. Making designer toys is a little different because the process involves closing the model up and making it watertight in one solid piece or multiple solid pieces with keys. There is some more planning on how I pose pieces too because I want to try and duplicate them by molding and casting as well. I start off using Maya to get basic shapes in and put together the look, since I am faster in that program, then I use Zbrush to combine all meshes and seal the model and prep it for print. Once the print is done, I let the model cure then break supports, sand it to the right smoothness and either prime it with spray paint or move on to making duplicates. There were many routes that I wanted to take the toys, like mass production, but instead I wanted to control my own product and so I learned how to mold and cast pieces on my own, allowing me to make however many copies and I get to tint them to whatever color I want. It's a lot of fun producing my own work and I love how they all come out. Photo courtesy of Christina Douk: First 3 robots created. Cyant: On your Instagram feed, your tag line is: "Manipulating geometry one vertex at a time". As an artist, has working with 3D modeling and 3D printing changed how you use and view geometry and mathematics? How? Christina: 3d modeling has changed the way I look at the world. I love geometric shapes maybe because of what I do, and I also have worked in this field for several years and noticed that sometimes how I look at the world is a little different. I break down items in our lives into simple geometric shapes and figure out how I can model them. My brain looks and sees repetition in buildings, cars, and products to see how can I optimize the amount of geometry to make that model. Sometimes if I work too much, I see the geometry and edge flow on the real life object, which can be weird, but is how my mind works these days and I find it interesting. Photo courtesy of Christina Douk: Casted models of the robot design. Cyant: What advice would you have for young (and not so young) cyantists who want to work with 3D modeling and 3D printing in the entertainment or game industry? Christina: Just hit play. I really believe that once I started printing my own work I became more and more motivated to keep creating. And I think it's because having the physical product in front of you can show you and influence you that you can make anything. When I first started 3d printing I would model and sculpt many different things in preparation to getting my first printer, but even when I got that, there were so many complications with the ones I had, and there was one printer which didn’t work for me at all, so I ended up waiting another year to get my own. Instead, I ended up sending my stuff to print through a bureau and through friends in the meantime and that's when I realized that I wanted to design and create more. I'm a plug and play type of person. I want to focus more on the art and design vs the process of printing, so once I began making more and more content, I bought a printer to fit that mentality. I own a Form 2 at the moment and literally whenever I have an idea now, I'll model it, send it to print, and share it. Christina: My favorite thing is drawing without a purpose. I don’t know what I will draw, but I doodle lines and see what comes out. It is like an icebreaker for myself, to break the need to draw something exact, I instead do whatever. My robots actually emerged from this method. Its freeing to kinda see where the lines go every time I do this. Thanks so much for sharing your work and inspirations Christina! If you want to learn more about Christina, make sure to visit her website HERE and follow her Instagram account HERE! New Ruler Tool In Cyant's Lab™! A ruler is part of an engineer’s, a school kid’s, a designer‘s and an artist ‘s toolkit, even a 3D one! 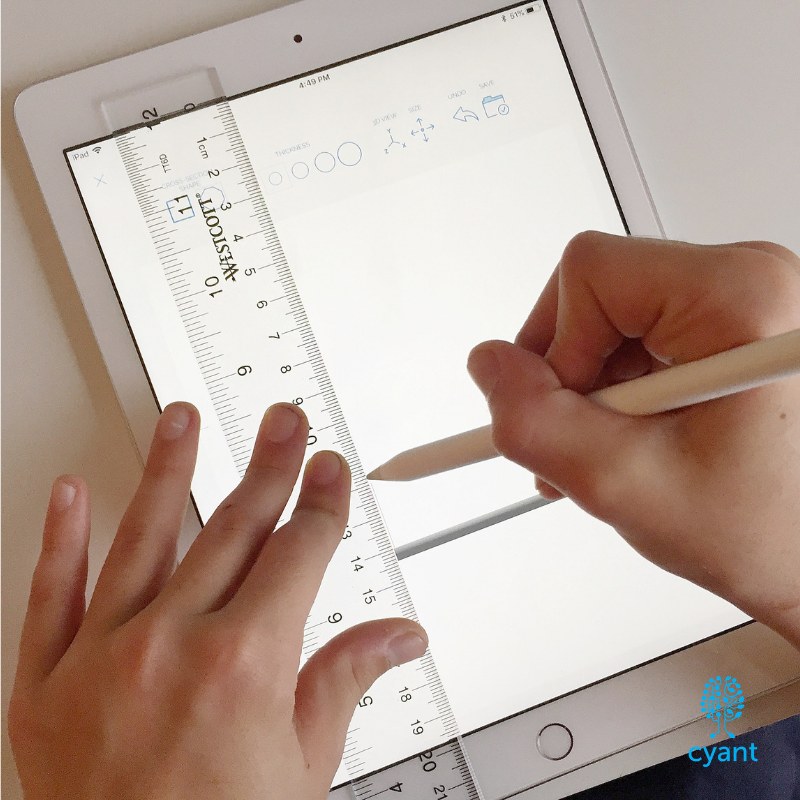 So we’ve added a new ruler tool to our iPad app Cyant’s Lab to make it easier for Cyantists of all ages to 3D draw straight lines in the app digitally. Albert Einsten, a musician and a music lover, is quoted for having said: “If I were not a physicist, I would probably be a musician.”. 3D Printing now offers new ways for the two fields to intersect, and today’s #CyantistWeLove, Pauline Eveno, has been able to combine her love of music with her physics background. She has created 3D printed custom mouthpieces that can be tuned to a musician’s preferences, and founded the company Syos to serve the music community at large. 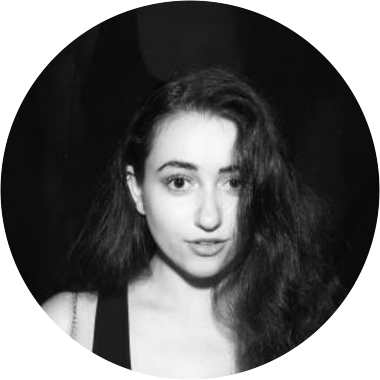 We are excited to feature her and her team’s work, which will no doubt inspire all music loving Cyantists! Cyant: Can you please tell us about Syos, Syos’s custom mouthpieces and why they are so unique? Pauline: Syos, which means Shape Your Own Sound, is a French company founded in 2016 by two acoustic researchers from Ircam: myself, and Maxime Carron. Syos lets all saxophone players get their own sound more easily thanks to 3D printed custom mouthpieces. Syos makes mouthpieces that are more in tune, more homogeneous, easier to play and optimized to the sound each musician is looking for. We developed an algorithm that translates the needs of the musician, that he/she expresses by filling out a questionnaire, directly into the geometry of a mouthpiece that will give him/her the sound he/she wants. Cyant: What led you to the idea and why use 3D printing? Did you have a background in music? Pauline: Syos wouldn't exist without 3D printing. Indeed, it's the only way for us to make a unique mouthpiece for each musician. It makes the customization possible at a larger scale. Yes I have a background in music. I have been playing flute for 20 years and more recently I started bass guitar and saxophone. But more importantly I have a PhD in acoustics. I did my PhD at Ircam on the acoustics of wind instruments. Cyant: What type of expertise and team did it take to be able to first prototype the pieces and then produce them on a larger scale? Pauline: First we needed to understand the acoustics of the mouthpieces and what was the influence of the geometry of the mouthpiece on the sound and playing characteristics of the saxophone. Then, we needed to translate the needs of musicians from the words to the geometry of the mouthpiece. So we did tests with thousands of musicians. Of course we also needed to design the mouthpieces using a 3D modeling software, Solidworks, and find the right technology to print the mouthpieces. Cyant: How are musicians using and responding to your innovations? Is there a fear that the sound may not be the same? Are they able to create new sounds? Moreover, since we are the first manufacturers to use the color a lot on our instruments, a lot of people see them as toys. It's kind of sad because I want to believe that color isn't only restricted to kids. But now that we have some of the best saxophonists in the world playing on our mouthpieces, minds are changing and more and more people believe in us and ask for colorful mouthpieces! Cyant: What is next for the future of sound/music and 3D printing in your mind? Will there be more development to completely re-invent instruments, or create new ones? Or combining specific re-designed pieces with traditional parts? Pauline: For me, 3D printing will really help getting more and more personalized instruments. So we expect to extend our model to other musical instruments. 3D printing can also completely change the way the instruments are distributed. Instead of producing all the instruments in one factory and them shipping them all over the world, we could have a 3D printer in every music shops and directly print the instrument there. 3D printing is also really useful for prototyping things faster, so a lot of musical instruments could be redesigned to be easier to play, more in tune, etc. During my PhD I developed a software that is helping craftsmen to predict the characteristics of their instruments before making them. Jerôme Wiss for example, used the software to design a trumpet that is completely in tune. He then used 3D printing to prototype and test the trumpet he had designed, and now he is making it by hand in metal and it works great! There is also a project at Ircam and LMA (two acoustic labs in Paris and Marseille) to make a new clarinet, more intuitive to play. So yes, I'm sure there are a lot of things that will be happening in the musical instruments. Cyant: What is your advice for young cyantists who are interested in the intersection of music, sound and 3D printing? Pauline: I’m really bad at drawing... I'm more into music. 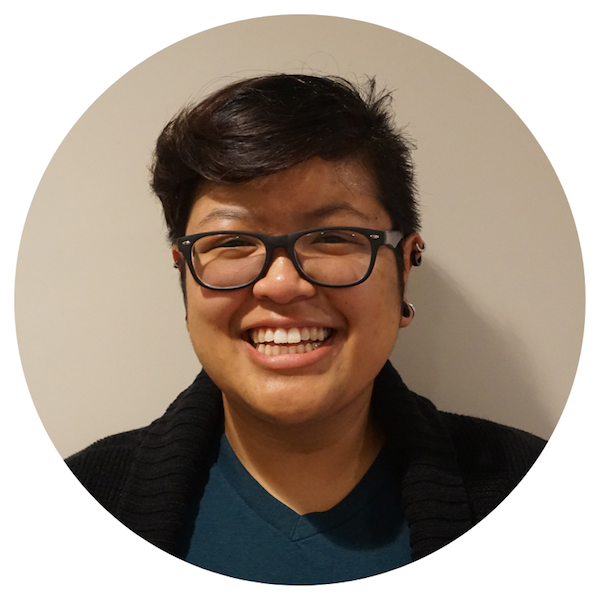 Thanks Pauline for sharing about your innovative work and inspiring music loving Cyantists! If you want to learn more about Syos and their custom 3D printed pieces for musicians, make sure to visit HERE! Fashion Weeks and Fashion Shows all around the world increasingly provide an opportunity to discover new designs and fabrication innovations involving 3D printing and digital design. This year, Alexis Walsh, an NYC based designer and artist, caught our attention. Her Apex Series, which we featured as one of our #TechTuesday picks, combines new technologies such as 3D printing with more traditional techniques, and 3D printed pieces (also called custom hardware) applied on fabric through a special design software she and her partner built. Due to the important and innovative aspects of her work, we decided to go a step further and feature Alexis as a #CyantistWeLove! Alexis kindly shared about the process behind her collection, her thoughts on sustainable fashion and fashion design, her advice for young Cyantists and more. A great inspiration for anyone interested in the intersection of 3D printing, design, sustainability and traditional craft! Cyant: Can you please tell us about the Apex Series and what led you to this collection? What was the creative and design process behind it? Alexis: Apex Series initially began as a single piece - the Apex Coat. This was an idea that had been brainstormed with my design partner Justin Hattendorf. We were really excited about the idea of creating customized hardware [e.g. 3D printed decorative pieces that adorn a garment] that could have an engineered placement on a body. New expressions are possible through 3D printing that are either impossible or extremely difficult to attain in other mediums. With additive manufacturing, new ways of integrating different materials can be utilized, combining traditional handcraft and hardware elements with modern performative materials. After the creation of Apex Coat, the piece was so well received that we decided to expand the idea further into a continuing body of work. Apex Series is the first collection. Cyant: Once designed, what was involved in making the collection come to life, in terms of materials, processes and technologies? And what problems were you able to solve? Alexis: We created a custom software to develop our 3D models for this piece. 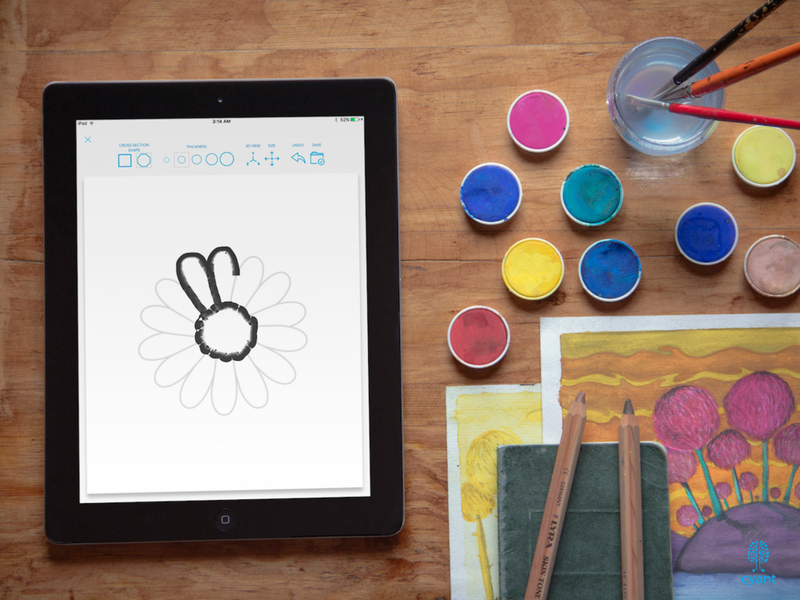 The software took about 6 months of iterations before we were ready to start prototyping. From there, we tested a number of methods to apply the 3D printed hardware onto fabric. Rather than prototyping for a specific, isolated design problem, we decided to prototype a process for making an expansive collection of fashion products. This allows us to focus on each new garment in the collection with a sharp attention to detail, ensuring that our designs maintain a high quality of craftsmanship while giving us full creative freedom when we have an idea for a new hardware application. With 3D printing, small studios and independent designers are now empowered to work on new and disruptive design ideas with production on-demand. In the past, fashion hardware development required access to large scale manufacturing and would require extremely large minimum order quantities, which has often been unattainable for small businesses. Today we can use desktop 3D printers to prototype, and small fabrication companies to produce high quality hardware, allowing us to rethink old design standards and develop a new interpretation of fashion hardware. Using the custom software app that we built together, we mapped out the flattened pattern pieces and were able to engineer the exact placements of hardware to each specific pattern piece, before physically creating the garment. This efficient method allows us to rapidly test our designs until deciding on a final form, with absolutely no wastage of materials or labor. Though the designing of the software took six months, we were able to physically create all the pieces within Apex Series in about two months. Each piece was hand-sewn and the hardware was manually applied. Cyant: Your work is at the intersection of fashion, technology and physics! How did your studies prepare you for your current work? Conversely, what else did you have to learn and what collaborations did you have to put in place? Alexis: In 2015, I graduated from Parsons The New School for Design, with a focus in both fashion design and product design. My experiences with digital design, including computational design and 3D modeling, has been largely self taught. I was a student during the period where 3D printing was just becoming a mainstream concept. In order to learn more about 3D printing, I enrolled in industrial product design courses, and classes focused on fabrication materials and manufacturing processes. Through this, I was allowed access to the manufacturing buildings on the Parsons campus, which included an array of 3D printers, laser cutters, and metal fabrication machinery. I had an incredible four years of experimenting, and I definitely got lucky in having such encouraging professors who allowed me to explore. One particular instance was in a steel welding class, where I create a cage dress out of welded steel rods. I found a mannequin and would carry it up and down the stairs into the welding studio, welding directly onto the mannequin. Two crucial experiences to my current work were two 3D printing based internships. When I was a junior, I interned for the designer Bradley Rothenberg at his namesake company (now nTopology, a really cool software company!) This was at the height of 3D printing in fashion, and it was such a great learning experience. I was able to see how the studio collaborated with more traditional fashion design companies to work with technology. The next year, right after I graduated, I worked as the studio manager for Studio Bitonti, under the designer Francis Bitonti. Studio Bitonti worked with fabricating and designing projects focused on 3D modeling/3D printing, as well as teaching a workshop class about using 3D modeling for wearable designs. Without a doubt, the most important collaboration I have ever had is with my partner Justin Hattendorf. We work so well together, and our skill sets compliment each other. Justin has a background in architecture and industrial product design, and his knowledge of computational design is incredibly important to our process. Cyant: What other innovations do you see possible, that combine traditional craft and new technologies such as 3D printing? And what other materials do you hope to work with in the future? Alexis: I’m really excited about the potential of fully 3D printed fabrics. As a textile, I don't think the technology is completely realized yet, but there is so much possibility around fully 3D printed garments. I would also love to work with more sustainable materials, such as lab grown leather or mycelium. Cyant: How do you think your work can advance more sustainable design in fashion? And to facilitate that, what are techniques that exist, or you think would be possible, that you hope to use? Alexis: 3D printing is surprisingly sustainable! PLA filament is plant-based, and your print can be biodegradable. There are several companies focusing on the "recycling" of 3D printed filaments, too. Another printing method, SLS, is completely zero waste by utilizing nylon powder. Any excess powder is continuously reused for the next prints. With 3D printing, the amount of wastage can be drastically reduced as compared to more traditional methods of clothing/accessory/hardware manufacturing. Cyant: What would be your advice for young (and older :)) cyantists interested in fashion, and looking to use 3D printing and related technologies? Alexis: If you're interested in 3D printing, now is the time to explore it! There are so many resources available online right now, as well as intuitive guides to help first time 3D modelers learn the programs. Several colleges are also beginning to offer courses focused on 3D modeling for wearable items, like clothing, shoes, or hardware. It might seem intimidating at first, but it's so worth learning and it's also fun! Alexis: I love drawing portraits! In my free time, I enjoy sketching with graphite or painting watercolor. Thanks Alexis for sharing your insights and experience with us! If you want to learn more about Alexis, make sure to visit HERE! June 8th was World Ocean's Day and we were excited to make new templates that feature marine life available in our iPad app Cyant's Lab™ that day! Kids of all ages can already 3D draw and obtain 3D prints of four faves, and we'll add more this month and in coming weeks too! Our oceans are under enormous stress but 3D printing has a significant potential to help keeping our oceans healthier by ushering in more sustainable design and production methods, new business model around a circular economy, new environmentally conscious materials, and even helping ailing creatures and inhabitats with prosthesis.! We are truly excited for this potential! We developed Cyant's Lab™ to make 3Dmodeling and 3Dprinting accessible, so that kids of all ages could learn about 3D technologies, and easily create and print in 3D. Since not everyone has a 3D Printer, we wanted to make sure that models could be ordered from a 3D Printing service directly in the app. We turned to Sculpteo, a leading additive manufacturing service bureau, so that anyone who ordered one of their creations via our app could have a streamlined order experience and receive a great print with professional finish and quality. And orders will be delivered within a very rapid timeframe too! We had the opportunity to discuss with Amandine Richardot, Community Manager at Sculpteo and introduce Cyant's Lab™to the Sculpteo community. Check out the post on Sculpteo's blog, where we discuss our product, working with Sculpteo, using 3D printing, education and more! Today's #CyantistWeLove: Artur Dabrowski, Architect And Creator Of "Multiply Like Rabbits"
Today, we are so excited to feature a #CyantistWeLove who exemplifies so well the ideas that design is a process that can be learned and used across disciplines, and that hand drawing is the start to making things, something at the root of our products and workshops since inception! Artur is an Architect trained at the City College of New York School Of Architecture and currently working for the NY-based Architecture firm Openshop. Importantly, he has created a jewelry line and store called "Multiply Like Rabbits", an enchanting collection of pieces featuring rabbits, beautiful details and elegant lines. He uses storytelling and hand drawing to inspire the design of the pieces, which are then all digitally modeled and 3D Printed. By combining traditional design techniques with new technologies such as 3D Printing, he is able to create unique, and expressive jewelry. We also resonated with the use of storytelling as a starting point for design, so we are all the more glad he can share a few thoughts about his journey, his process and some advice for young Cyantists! Cyant: You went from architecture to designing and 3D printing your creations: how do you think your background as an architect might have shaped that journey? Artur: Architecture school taught me how to design. But what I found surprising is that design is universal. The same process used to make a building can be used to make a piece of jewelry. In school I definitely refined my style and learned a great deal about myself as a designer — and really pushed myself. In general, architecture school was helpful because it not only teaches form and function, but also experience as well as how objects relate to the human body. Cyant: Why/how do you blend storytelling and drawing with design (love this concept for a number of reasons!) and how do you design your creations? Artur: Everything I do starts with drawing. I was once told by my professor "if you don't draw an idea, it doesn't exist. And if you don't build it, it doesn't work". Sometimes I start the design process with a particular project in mind (like a tie bar or bracelet). Other times, ideas pop into my head and I explore it. I keep a notebook for jewelry sketches and also a notebook with personal sketches. Some of those drawings and motifs carry themselves into physical pieces. Cyant: Rabbits are such lovable characters! Why did you choose to focus on them? And did using this character as a center of your designs present any challenge? Artur: Back in high-school, I would draw in the margins of my notebooks and they became filled with drawings and stories of rabbits that expressed thoughts or feelings! Rabbits are cute and perhaps appear a little naive, and they are good to personify by giving them different expressions. I made my first 3D printed jewelry as a gift to my friend. I enjoyed the process so much, I wanted to create a second piece. One day in my notebook, I sketched a series of rings with rabbits. This became the initial inspiration for the project and things grew from there. I think one of the biggest challenges I faced was turning my rabbits from a sketch into a three dimensional character. Once I was able to do that, drawing and design blurred seamlessly into one. I also had to learn what was physically possible and how to balance this knowledge with attention to details. Cyant: Which 3D Printing technologies do you use? Do you use other technologies or did you have to develop something new to obtain your creations? Artur: To create my products, I send my digital files to the Shapeways facility in New York City. The shop uses an industrial sized machine to 3D print my design in high resolution wax. The machine is quite amazing because it features two nozzles which simultaneously print the wax cast as well as the support structure (this support structure is chemically dissolved away). Afterwards, the shop creates a plaster mold and injects liquid metal into the cast. Even though the process is initially made with machines and computers, the rest of the process is traditional lost wax casting used by jewelry makers for generations. I also have a personal 3D printer, a Mod-T by Newmatter, that I use to print prototypes and quickly test ideas. To design rings for all sizes possible, I needed to use a parametric design approach, and I developed Grasshopper scripts that would rebuild my models automatically for different sizes. Cyant: What would you like to create next?! Artur: I plan to work more on architectural pieces. I have found that people have a natural curiosity to this type of creations. I'd like to represent tiny details, in ways perhaps only possible with 3D Printing, but always with a focus on the story, whatever that story maybe. Cyant: What advice for young Cyantists might you have? Artur: When it comes to design and 3D printing, you'll realize you may spend hours on the computer trying to make the perfect piece... but until you print it... until you make it real, you won't know if it actually works. The best advice I can give to a young Cyantist is always test your ideas and never stop experimenting. Some ideas work great the first try, while other ideas is trial after trial. It may be disappointing to realize some ideas may not be a success, but remember it is a learning process. You'll realize the perfect piece is the result of countless prototypes you made in the past. So never stop making things. We are grateful to Artur for sharing all these amazing thoughts and insights, as well as all these beautiful pictures which will no doubt delight and inspire Cyantists of all ages! And you can visit Multiply Like Rabbits to see more of his creations! 3D Printing has created and will continue to create new opportunities for designers all around the world. One very important opportunity is to be able to ingrain sustainability in the design and production processes, in addition to having access to new aesthetic and material options. So we are excited to feature french designer Alice Cabotse, who created Alice Etcaetera and who works everyday at the intersection of design and eco-consciousness as part of her mission. Alice has been harnessing the opportunities offered by 3D Printing for several of her collections. Nonetheless, her design approach still retains elements of traditional craftsmanship, and this blend of technology and time-tested methods is also an exciting innovation playground for designers. And while Alice is a designer now, she was actually a scientific major in high school, and she pursued her studies internationally! So we are all the more excited to discuss her study choices and her work with her! Cyant: You finished high school with a scientific baccalaureate (French SATs), and then decided to study art and design. What compelled you to follow that route? Were you always interested in both or was there a specific moment that made you change direction? Alice: I wanted to be a designer since the age of 12, when I discovered that you could earn a living drawing & creating ideas : it was called graphic design. By the age of 14 I knew it was possible to also "draw" everyday objects, furniture, cars, trains... it was called industrial design & sounded just amazing ! So knowing I wanted to be a "3 dimensional designer". I chose to do a scientific baccalaureate, as I didn't know if I will prefer to be in the engineer or artistic side of design. When I was 18, I moved to London to discover if I was good at itand followed a year of Foundation Studies in Art & Design at the London Metropolitan University. By the end of that year, I chose the more "artistic" side of design & started a Bachelor of Arts Degree in Product Design at the Ravensbourne College of Design & Communication. I have been loving every part of this new world, with endless possibilities, new horizons & freedom to create with the power of imagination ! Cyant: How did you start to use 3D Printing? What has it enabled you to do that was new in your design and production process? Alice: I started working with 3D printing technologies in 2010 when I created my own collection of silver jewellery made in France & named “Grigris”. As I did not have the know-how to produce my own wax originals (classic jewellery making process), I decided to imagine a new production process mixing contemporary technology with classic craftsmanship. I designed and 3D printed my originals (in laser sintering polyamide powder) then gave them to my open-minded craftsman to transform them - with his traditional Silversmith skills - into beautiful solid silver unique rings (classic "lost wax" technique & hand-polished). 3D printing gave me a new freedom as a designer : it allowed me to materialize exactly the form I imagined and created with the modeling software into a solid object. Cyant: Which 3D Printing technologies have you been using throughout your work? Alice: I used 3D printed laser sintering polyamide powder to generate the originals of the silver jewelry collection “Grigris”. I also utilized 3D printed ceramic by scupteo.com to create the tableware collection “Essentielle". Throughout my work, I use 3D modeling software (e.g. Rhinoceros) to design my creations. Cyant: Did you have to work with experts in other fields to achieve what you wanted? Alice: No, not so far, as one of the quality of a Designer is to be like a sponge : to analyze and understand production processes, in order to get a global view & create with the constraints. Cyant: How are you using 3D Printing to make an environmental impact? Or put in a differently how is 3D Printing playing a part in your eco-consciousness mission/goals? Alice: 3D printing is a precious tool to develop new virtuous - environmental, social & local - business models with no stock “made to order” and also “made to measure” concepts.This means, we can design infinitely but rapidly produce a limited stock based on customer demand, requests and interests. So, this fast technology allows to create a diversity of tailored & unique sustainable solutions. Cyant: You marry traditional crafts with 3D Printing. Can you give examples of your work that showcase that aspect? Is it a difficult balancing act, or is there a natural blending between the two methods of design and production? Does it require a different thinking and design process, innovating on the technology side? Alice: I am very much influenced by Japanese aesthetic, Scandinavian design and the Art Déco period : I love “warm minimalism”. I am very much inspired by a quotation of Charlotte Perriand, collaborator of Le Corbusier and major French woman designer from the XXth century. Her ambition was “the sincere and constant research around a way of life connected to its time”. So "Natural blending" would be answer, as simplicity & harmony are keywords in my work. Designing a new jewelry making method gave me the freedom to imagine a collection of 24 different rings "Grigris", also designing a unique experience: a series of small architectures for the body, pieces of solid silver, raw, smooth, ultra polished and golden shimmers, to be composed freely and made to measure. This let me offer variations of material and dimension which can be juxtaposed endlessly. I combined 3D printing and traditional silversmithing, and an innovative detail about the "Grigris"jewelry, was that I chose to show the printing stratums "mystery lines" in the final silver rings (raw silver versions) as a contemporary & minimalist way to create "naturally" decorative engraving. "Essentielle" is a tableware set in 3D printed ceramic which was printed locally by the French 3D printing service company Sculpteo.com. This collection is composed of three universal functions to eat & drink: a plate, a bowl and a cup, that can be stacked up into a compact form, for everyday use.Following my sustainability goal, the ceramic set is made to order online in a choice of 8 colours, creating a new sustainable economic model with no stock. Like the jewelry collection "Grigris", "Essentielle" tableware is the result of mixing high contemporary technology with classic craftsmanship. Designed and printed in 3D ceramic (laser sintering specific compound powder original), then glazed at more than 1 000°C (classic ceramic enamel technique). I love this dialogue between old & new... "roots & wings". Cyant: What advice do you have for young Cyantists who would like to work on eco-conscious design projects? Alice: To think "good loop" design - to source eco-labeled primary materials (biodegradable or recycled & recyclable or durable & repairable...) and to think about local productions "made to order" to be carbon neutral - referring to the Cradle to Cradle eco-systems and values. Last but not least "design with Love" ! Thanks Alice for this great advice! We are also grateful for the photos Alice provided who are credited to photographer Claude Weber. And you can find out more about Alice’s work at: www.aliceetcaetera.com ! From the early anatomical drawings of Leonardo Da Vinci and Vesalius to today, artists,medical students, and professionals have worked to create and perfect accurate representations of the human body. Having access to a precise visualization of anatomical structures is critical to our understanding of body functions, pathologies, and possible cures. Furthermore, such visualizations are essential maps and tools in surgical planning. The early drawings were created from the dissection of cadavers and this very visual, direct and tactile approach to charting the body’s anatomy is still in use today. However, over the centuries, radiology and more recently digital imaging and 3D scanning have provided non-invasive lenses into the anatomical structure and function. These technologies have also allowed for each individual to obtain maps of his/her body. Today’s #CyantistWeLove, Nicole Wake, a biomedical imaging PhD candidate at the New York University School of Medicine has realized that we can push visualization of anatomical structures one step further and give them life back with 3D Printing. 3D Printed models can provide us with a very tactile and physically meaningful representation of organs of a specific individual, that is much closer to the actual, live organs than 2D and/or virtual imagery. We are excited to feature her and her work at the intersection of medicine, visualization and 3D Printing! Cyant: You were studying biomedical imaging and had an epiphany: using 3D Printing to convey a more tactile and intuitive feel for organs. What was the spark that gave you the idea to apply your knowledge in medicine and imaging in conjunction with 3D Printing? asked if I could also make kidney tumor models. This led me to test various printing technologies, and I was able to develop a method to create multi-color kidney tumor models. Cyant: How were you able to create 3D models of organs that can be 3D Printed? Nicole: In order to create 3D printed medical models from medical imaging data, the 3D medical images have to be segmented, that is, the contours of organs need to be traced very precisely. Then they need to be converted to a file format that the 3D printer understands. Various FDA approved software platforms are available for this and I have become proficient in using several of them. Cyant: Once the models are created, which technologies did/do you use, and did you need to create anything new for your purpose? Nicole: To print multi-color, multi-material 3D printed models, I initially used the Connex500 (Stratasys, Eden Prairie, MN) and most recently have been using the J750 (Stratasys, Eden Prairie, MN). This polyjet technology allows me to print a translucent kidney, along with the other key anatomical structures printed in various colors. The translucency of the 3D-printed models allows easy visualization of the location and size of the tumor as well as the relationship of the cancerous tumor to key anatomical structures such as the renal artery, renal vein, and renal collecting system. Cyant: So this is opening some really interesting possibilities for medical applications! How is your idea helping physicians plan surgery and obtain new modes of visualization? Nicole: 3D printed anatomical models help the surgeons to get a whole new perspective of the anatomy of interest. Instead of planning surgeries by simply looking at the medical images on a 2D computer screen, surgeons can hold these life-sized physical 3D printed models in their hands and immediately understand the disease. Patients, medical and/or biology (even high school!) students and professionals alike can better gauge actual dimensions (“My kidney is that big?”) and learn very intuitively from the 3D prints. Cyant: How are you working with people with diverse skill sets (doctors, technicians) to put your idea to fruition? How receptive were they to your ideas? What have you learned from them in the process? experienced urological surgeons reviewed each renal mass case individually and in a random order to plan an intervention first based on images alone, and again based on images and the 3D printed models. The urological surgeons completed questionnaires about their surgical approach and planning, comparing presumed preoperative approaches with and without the model. In addition, they recorded any differences between the plan and the actual intervention. The results revealed a change in the planned approach in all ten models! Cyant: Given this initial success, what are your next steps and what are you hoping to achieve from here? Nicole: I am continuing to study the use of 3D printed kidney and prostate tumors in pre-surgical planning. With a fascination for the interface between technology and healthcare, I hope to develop quantitative metrics of how the 3D printed models can make an impact in patient care. We really want to show how these models can be helpful for patients and help them understand and manage their disease. Cyant: Finally, what words of advice do you have for parents, and young Cyantists, who are inspired by your work and might one day want to work at the intersection of 3D printing and medicine? Are there skills they need to acquire? How can they cultivate their creativity? Nicole: 3D printing is an enabling technology in medicine and many other fields. Exposing young Cyantists to stories that demonstrate how 3D printing is being used in medicine could help them to develop an interest in the field. In addition, young Cyantists could cultivate their creativity by learning how to use 3D modeling software and the steps required for 3D printing. Thanks to Nicole for describing her forward thinking work and providing photos illustrating it! "If you must blink, do it now... Pay careful attention to everything you see..." urges Kubo, the Hero of Laika's latest Stop Motion Animation feature film: Kubo And The Two Strings. And if you follow his advice, not only will you be transported into his enchanting journey and story, but you will also be left with wonderment at the creative and technical works that supported this beautiful animation. Source: LAIKA Animation You Tube Channel on 2016-10-05. 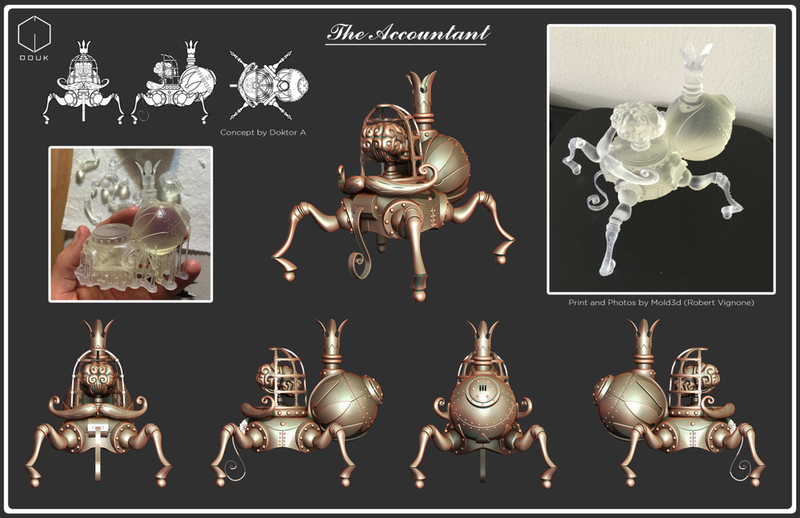 Cyant: As a "traditional artist", what brought you to 3D Printing and how did you introduce the connection between 3D Printing and animation? Brian: From a young age, I was very drawn to arts and sculpting. When I got out of college I actually did not know how to write an email. I had worked on traditional model making and sculpting, and computers felt very intimidating, just like 3D Printing can be intimidating today. And I rebelled against it, I wanted nothing to do with the computer. I focused on traditional model making, and was introduced to people who'd made a name for themselves doing practical things. And that was at a time where most of the studios were moving to digital. My wife enrolled into an industrial design degree, and as I helped her learn some of the required digital tools, I became more comfortable with the technology. Fast forward two years, I was teaching a class on traditional model making and I was exposed to a 3D printer. Thanks to Yves Behar's leadership, The California College Of The Arts was investing into Polyjet technology, which could offer fine details and dimensional accuracy. I was put in charge of researching and buying the 3D printing equipment, teaching it and bringing it to the curriculum for the industrial design and architecture students. Because of the exposure to that very type of 3D printing technology, I called an old colleague, Martin Meunier, to take a look and give his thoughts. We started to ask: "Could it be possible to do stop motion animation?" with this technology, which could yield objects almost as smooth as you could expect from mold and cast. We submitted the idea to Laika and they accepted it. If we had known how hard it was going to be we may never have done it! But we were naive and eager, and very focused on the practical, physical objects we could hold in our hands, which were beautiful. And it quickly grew and grew from there. Cyant: Your department unites arts and technology and is a true “Cyantists” department! Could you please describe how you assembled your team, and how this diversity has been working well to produce a film like Kubo And The Two Strings? Brian: Throughout most of Coraline, what made it successful is that the people we brought in had practical, art backgrounds, they were not "computer people". Coraline was the first stop motion film shot in US in over a decade. But the fact that we were coming with a practical background helped showcase to the community that this could help the field, not hurt it. So we were hiring people with practical skills and teaching them technical skills. For follow on films, Paranorman, The Boxtrolls and Kubo And The Two Strings, which were getting more complex, we had to bring in people with more computer skills and teach them the practical side of things. It turns out it was difficult to do in this way around: they were computer geniuses but were missing the practical and physical experience on how objects fit together. So the balance has been hard to achieve. However, we have definitely found over the years a whole group of people who were mostly working in the physical domain to start with, but had transitioned to digital over time. And it's those people who have that passion for the practical who really make it work. Cyant: So for Kubo, what had to be created to make this movie so visually and artistically stunning, and elegantly showcase the beautiful storyline, while seamlessly blending several technical elements including Computer Generated effects? Brian: Starting Paranorman, Laika started doing "hybrid film making", that is we were focused on the story to be told, and creating the world we needed to create to do that, without letting ourselves be limited by the media of stop motion animation. We always try to have everything we do rooted in the practical. So we try to figure out how to do things in the real world first and then determine if it needs to be transitioned to CG. For example, Oliver Jones and the team at the rigging department had to prototype crashing waves with a black plastic bag on an undulating grid and filming it frame by frame, or taking chunks of cut out paper also on undulating grid system, and animate it frame by frame. Then once we'd figured out what that needed to look like, we transitioned it to Steve Emerson at the visual effects department, so they could recreate the effect and rebuild the scene while keeping it rooted in our original world because that CG effect was going to have to live side-by-side with it. It is the attention and dedication to that process that has allowed us to make it invisible to the audience members. And throughout our process, it is amazing how often the creative side drives the technology use. Cyant: What has 3D Printing specifically enabled and what envelop did you push to make each movie and Kubo And The Two Strings in particular? Brian: With Coraline, we were using Polyjet technology with hand painting. We moved to ZPrint technology for Paranorman, and were able to print faces in color. And with this shift, we had to develop a number of post processing techniques and make sure we were achieving the necessary consistency. One of the limitations of ZPrint technology is its dimensional accuracy and fine feature details. For Kubo, we had to produce really detailed characters, and the technology that had been the backbone of the two previous films was no longer going to be sufficient. So we were able to leverage the reputation that Laika had acquired, and work with the 3D Printing company Stratasys to obtain one of their early technologies, the Connex3. This technology allows 3 color 3D printing but does not make it possible to print gradients. We worked in partnership with them to co-develop our own software and texture mapped color assignment, and we worked very closely Jon Hiller, independent software developer, to take his AMF software and tweak it for our production needs. Still again, the creative and physical requirements of how the characters should look were driving the final decision making. Thankfully our technical strategy paid off and the 3D printed faces, Monkey in particular, were approved. So what had held Stop Motion Animation back and we were able to solve with our technology development over time, is keeping the audience fully engrossed in the movie and characters, and maintaining the emotional connection, through fine details and facial expressions. This was something that Computer Generated Animation had addressed because it could bring that additional resemblance to real life. But we were able to solve this with 3D printing because we could obtain a dynamic range of subtle and precise facial expressions. To put this in perspective, traditionally, there are several techniques for Stop Motion Animation: claymation which can be messy, and with which the work is more visible; mechanical animation, which uses silicon skin that is pushed around as need be, but is not the best technique for broad expressions and changes; replacement animation, which uses hand sculpted expressions, but is ultimately not good for subtlety because of the variations between each sculpt. So 3D printing has allowed us to obtain the same type of subtlety that can be expected with Computer Animation, and combine it with replacement animation to enable greater expressiveness. Cyant: What words of advice do you have for parents, and young Cyantists, who are inspired by your work and might one day want to work at the intersection of 3D printing and stop motion animation / storytelling? Are there skills they need to acquire? How can they cultivate their creativity? Brian: I can speak as someone who from an early age on, was drawn to the arts. Creativity can manifest itself in many different ways and you can find the connection really unexpectedly. Being able to encourage kids to be creative and artistic and allowing them to explore fields that may not seem like opening a career, is hard to do, but I think it’s necessary. Looking back at my journey, if I had not had the support from my family I may have had to choose another career. Arts and creativity are so important in our culture and our communities, and it is important for parents to find ways through which kids can feel supported in those fields. And as kids grow as students, there may be zigzags, and exposure to different people and different techniques, but it is part of the journey and learning who you need to be. The more tools they will have under their tool belts, the more they will be able to solve problems. And twenty years ago, the drive to find that art-meets-tech connection was not obvious: you were either art or tech. But there was never this idea that they could come together. Thanks to recent technology changes, such as smart phones, app development, building things really quickly in software or with 3D printing, the art-meets-tech connection has been brought back to the forefront. And we benefit from that everyday, that is a perfect blend of artists, technicians and computer geniuses that come together to solve a common problem. Again we are grateful to Brian McLean for this Q&A, and Laika Publicist, Maggie Begley, for permission to use the images shown in this post. We leave you with a featurette that recounts the crafting of Kubo's magical journey, under the vision of Travis Knight, Laika's CEO. Source: Laika YouTube channel. Hear from some of the filmmakers and voice talent as they discuss what went into designing and creating the world of Kubo. A few weeks ago, we shared about how 3D Printing had been used to bring one of the Seven Wonders of The World back to life via our Facebook page, a great example of work at the intersection of art, history and tech. So we are thrilled to be featuring Lisa, founder and CEO of Scansite, and her team as Cyantists we love. Lisa is a pioneer in the 3D scanning industry. Over the years, she has assembled a multidisciplinary team of engineers, artists, historians, architects, archeologists and technologists who specialize in capturing meticulous details on real world objects. Using 3D scanners, they have created 3D models of historic artifacts, from dinosaur bones to statues from Michelangelo, real people including the singer Tony Bennet, industrial tools and entertainment models (think Star Wars! ), to name a few. 3D Scanners can be thought of 3D cameras, and are themselves the result of multi-disciplinary engineering, including mathematics, computer vision, optics etc. They work by projecting geometric light patterns onto object surfaces. The pattern is distorted by the surface, and these distortions are recorded by the scanner to compute information about the shape, or structure, of the object in 3D, using 3D reconstruction algorithms. The scans can then be processed with a modeling software to create 3D Printing files or be examined and edited in greater depth. So 3D scans can provide precise 3D information on small or larger objects, and this information can be used in many applications, one of them being in manufacturing where the scans help the quality assurance process by showing where defects might have crept up. However, and quite importantly, it is not just technical work Lisa and her team do. Working with museums and other institutions such as the NY Metropolitan among many, she and her team are an intrinsic part of preserving art and enabling history to be better understood. For example, they produced the largest ever 3D printed triceratops, enabling biomechanical studies to be conducted at the Smithsonian's. And her scans of statues from Renaissance Italian sculptors is enabling the restoration of statues and provides information to art historians too. Works like hers also help make some of the value of history and art very tangible. We hope this will inspire many young Cyantists to make links between tech, science, history, art now and in the future! We are excited to kick-off, 3D Talk, a new event series co-organized with Women In 3D Printing, with a first event on scanning and modeling. This educational series will take place monthly and will feature a different industry specific topic and highlight new guests each month. Our first event will be hosted by Parisoma, San Francisco, on Sept. 8th! We are thrilled to have 3 fabulous panelists to discuss these topics, as well as their experience in the field of 3Dprinting: Liza Sonia Wallach , co-founder of HoneyPoint3D - Education, 3D Printing, 3D CAD, 3D Scanning, Lisa Federici, founder of Scansite, and designer Christina Douk! So come join us to 3D Talk!